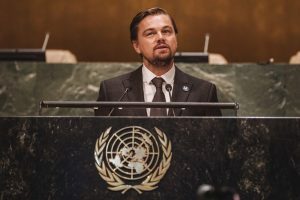 “Today, our planet suffered,” tweeted Leonardo DiCaprio. President Trump’s decision to withdraw the Paris Climate Accord has sparked widespread hysteria in juice bars and luxury spas across Hollywood. “The Paris accord is very unfair at the highest level to the United States,” the president told a gathering Thursday in the Rose Garden. But some of Hollywood’s most esteemed scientists fear the president’s decision will put the nation on a slippery slope to the hothouse – an apocalyptic future with melting igloos and polar bears unable to put their Coca-Colas on ice.